Virtual reality helped people with acrophobia, a fear of heights, overcome their fear and venture onto mountains and rope bridges, researchers said. Virtual reality can help act as a do-it-yourself therapist, helping people overcome their fear of heights without a professional at their side, British researchers reported Wednesday. The team tested 100 volunteers, 49 of whom were given six virtual reality sessions over two weeks. The rest got no treatment. On average, the volunteers had been afraid of heights for 30 years, the team reported in the journal Lancet Psychiatry. The software can be whimsical, offering scenarios from walking across a virtual rope bridge to rescuing a cat from a limb. Freeman said the experiences are meant to strongly immerse people in a sensation of height and then encourage them to challenge their reluctance to take part. Freeman says his team is trying the approach to help a range of mental health conditions, including schizophrenia. “VR has extraordinary potential to help people overcome mental health problems because it gets to the heart of successful treatment: making people feel better in everyday life,” he said in a written statement. Virtual therapy had been used before to help people overcome a fear of heights, but always with the guidance of a mental health professional, Freeman said. The virtual reality was more of an aid than a treatment itself. Not everyone has access to that kind of care and not everyone wants to go see a therapist, he said. Virtual reality software, with high-quality equipment, could help more people. “There are too few skilled therapists delivering the best treatments to meet the high demand, meaning that millions of people are left waiting for the right help,” Freeman said. And, he said, the volunteers liked it. “We’ve found that patients are really very enthusiastic for VR treatments,” he said. The approach will have to be tested in more people, he said. It’s possible that the kind of people who volunteer for such experiments are more likely to respond to them. And it’s possible that a fear of heights is especially easy to treat with this kind of approach. Other mental health conditions may be more of a challenge, the team said. But fear of heights is very common. “One in five people report having experienced a strong unreasonable fear of heights and one in twenty people reach clinical criteria for acrophobia,” Freeman said. 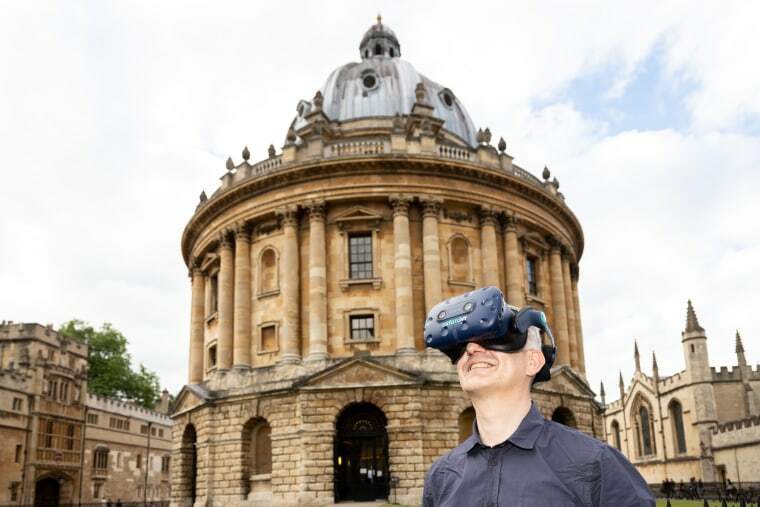 For now, Oxford has spun off the technology into a company, Oxford VR, which will work with Britain’s National Health Service to provide virtual reality services in medical offices.